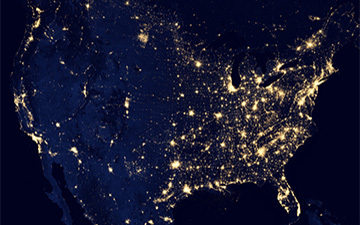 US Space Agency NASA has released images of earth from space using its satellites. 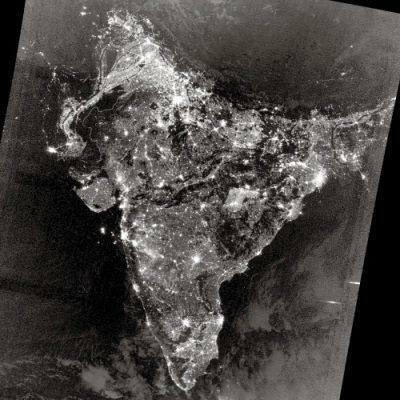 The images available at NASA photogallery shows colour photograph of parts of North America, Black and white image of India at Diwali night, a composite image of earth at night using a number of photographs etc. 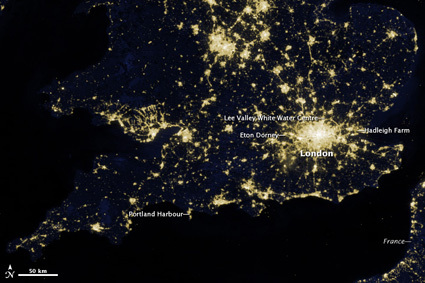 This is the new global view and animation of Earth’s city lights is a composite assembled from data acquired by the Suomi NPP satellite. The data was acquired over nine days in April 2012 and 13 days in October 2012. 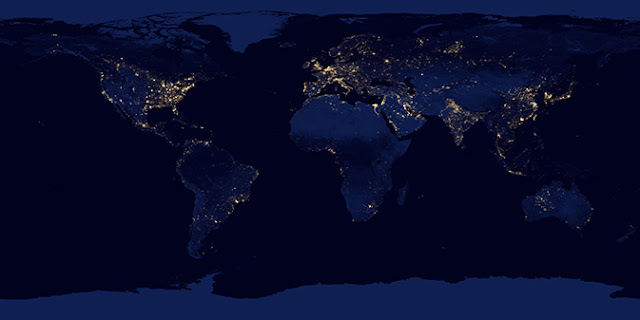 It took 312 orbits to get a clear shot of every parcel of Earth's land surface and islands. 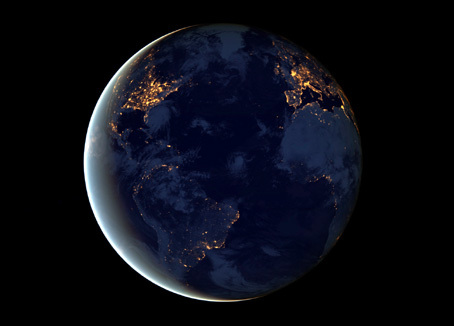 This new data was then mapped over existing Blue Marble imagery of Earth to provide a realistic view of the planet.